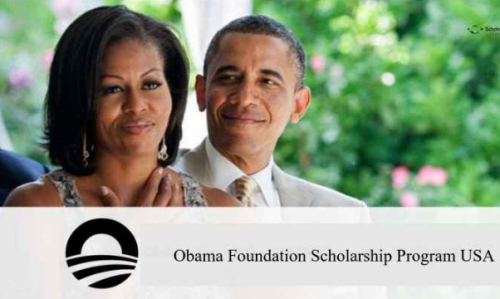 Applications are invited for Obama Foundation Scholars Program at the University of Chicago. This program provides emerging leaders from around the world who will earn a Master of Arts degree focused on International Development and Policy at the University of Chicago Harris School of Public Policy. The University of Chicago Harris School of Public Policy also referred to as “Harris Public Policy,” is the public policy school of the University of Chicago in Chicago, Illinois, United States. Course Level: Scholarships are available for pursuing Master of Arts degree programme. Scholarship Award: The Obama Foundation Scholars Program offers an extraordinary scholarship that covers tuition and expenses and provides a monthly living stipend, funding for books and course materials, and opportunities to experience unique out-of-the-classroom programming. Any travel costs for these experiences will also be fully covered. Policy and receive a full scholarship that includes access to exceptional programming outside of the classroom.